Crumbling Empire, an exhibition combining dozens of Soviet-era political posters with works by American street artist Shepard Fairey, is currently on view at the Cold War–centric Wende Museum in Los Angeles. 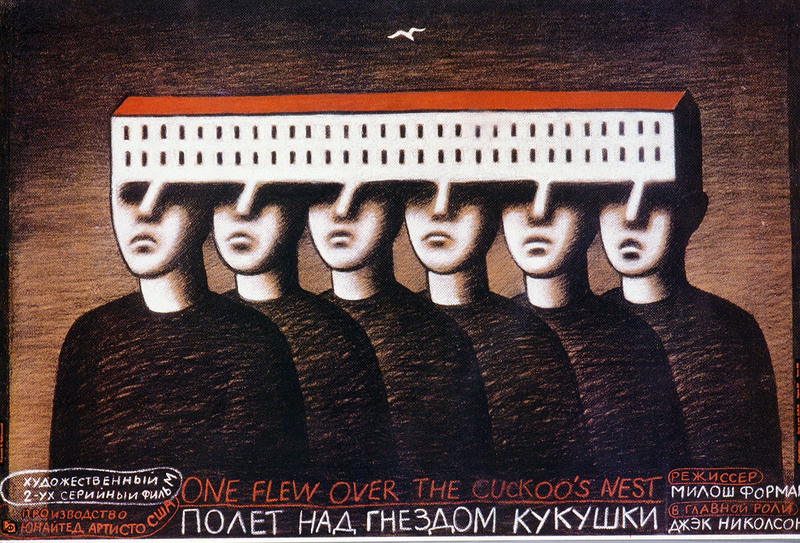 The Soviet political paintings were recently acquired by the Wende from local collectors Tom and Jeri Ferris, two Americans who traveled regularly to the Soviet Union during the 1980s to collect works of contemporary art. The colorful and subversive works, produced during Mikhail Gorbachev’s outward-looking tenure, present critical takes on the waning years of the Soviet empire. Fairey’s graphics and illustrations present contemporary foils to the posters while touching on similar themes. Also included in the exhibition is the central panel from Vitaly Komar and Alexander Melamid’s monumental 1993 work Unity, a portion of a large mural created by the Sots Art artists for the lobby of the U.S. Bank tower in Los Angeles. The exhibition also includes works from the American Institute of Graphic Arts, San Diego’s Ron Miriello Soviet Poster Show Collection. Of all the vistas the recently completed Stoneview Nature Center provides, the one overlooking an active urban oil field is perhaps the most arresting. The hillside nature center by Ehrlich Yanai Rhee Chaney Architects (EYRC) and AHBE Landscape Architects is sandwiched on a former brownfield site between two popular recreational hiking areas, a residential neighborhood, and the Inglewood Oil Field, the largest urban oil field in the country. The nature center connects a string of existing trails while also providing educational and community spaces focused on healthy living. EYRC describes the 4,000-square-foot community center as low-slung and “almost residential” in character. 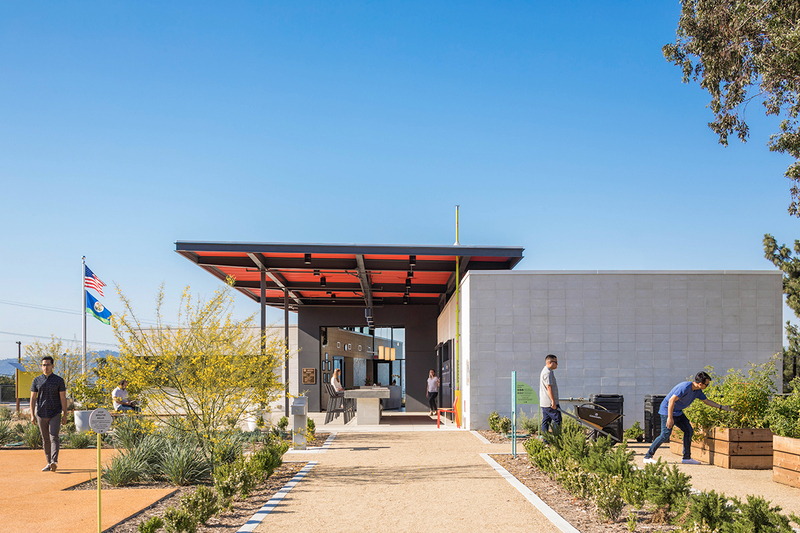 The center is anchored by a red and black steel awning that provides covered outdoor space for hosting outdoor cooking demonstrations, gardening sessions, and landscape history classes, as well as more conventional recreational activities. 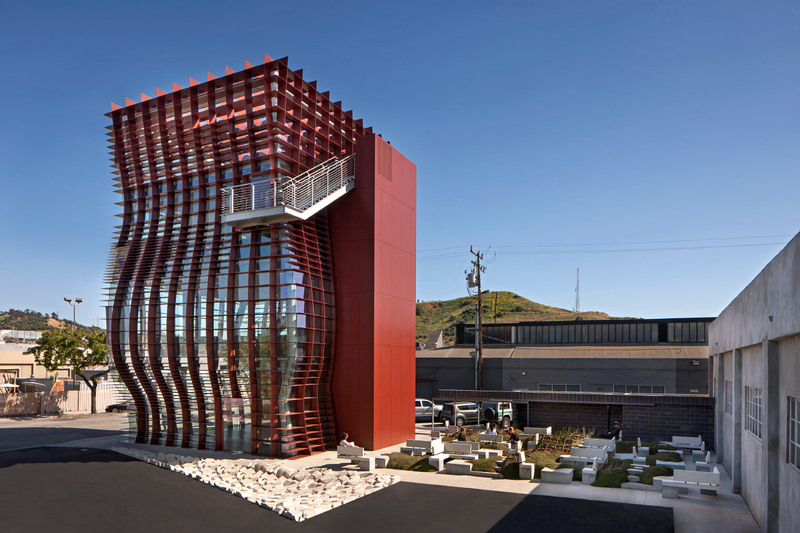 Next to this structure is an edible community garden and an outdoor classroom by AHBE. In the garden, sitting logs encircle an open plaza from which to explore nearby demonstration gardens. The gardens dissolve into the scrubby hillside trails that crisscross the mountainside and frame overlapping views of L.A.’s agricultural and industrial landscapes. Eric Owen Moss Architects (EOM) recently completed work on Vespertine, a new 5,500-square-foot structure housing a boutique restaurant helmed by chef Jordan Kahn that was developed hand-in-hand with EOM principal Eric Owen Moss and other artists as a convergent experience joining food, architecture, and music. The gridded tower is made up of an undulating stack of powder-coated steel plates infilled with panes of glass and rises 50 feet housing two interior levels and a mezzanine. A clumpy garden filled with concrete benches and horsetail sits beside the tower, filling out a footprint identical to that of the monolith. When diners arrive, drinks are served in the horsetail garden, where a wedge-shaped concrete-block storage room also houses a bar. The glass-clad ground floor of the building is left unadorned, occupied only by a sculptural table suspended from the ceiling that wraps around the 38-by-38-foot space. An elevator housed in the building’s core takes guests to the second-floor kitchen, an all black arrangement of parallel worktables and induction burners where black-clad cooks use Olfa knives to dice vegetables and turn them into various pastes, gels, and foams. After conferring with the chef, diners make it to the roof terrace above, where custom bean bag chairs and tables built from ready-made woodworking benches fill out the space. Sometime during the 21-course meal, diners flow down into the building’s mezzanine level, where banquettes and movable acrylic tables outfit a proper dining room. Ceiling spotlights and etched tabletops work in tandem to refract light through and around the food. At the end of the meal, diners descend back onto the ground floor, where the sculptural table offers a parting gift containing scents inspired by the night’s meal. 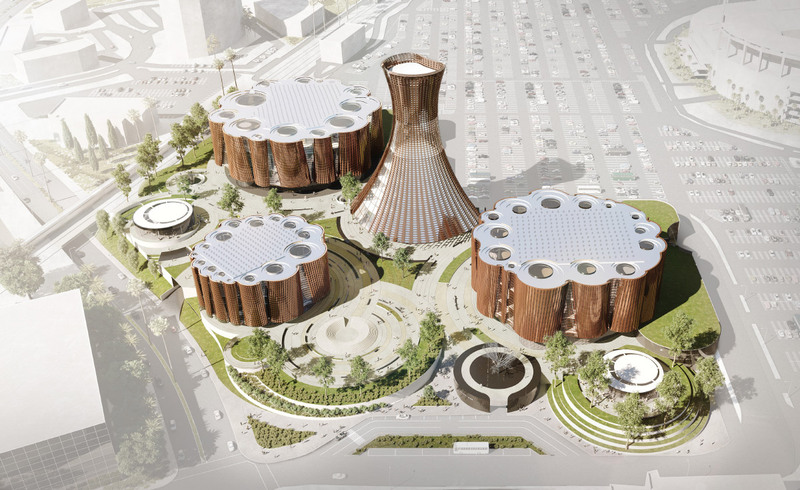 Culver City, California–based SPF:architects (SPF:a) recently unveiled plans for the Anaheim Performing Arts Center (APAC), an agriculturally inspired 11-acre complex in California’s Orange County. SPF:a’s vision includes a 2,000-seat concert hall, a 1,700-seat opera house, and a 600-seat black box theater, along with a museum, restaurants, and offices. 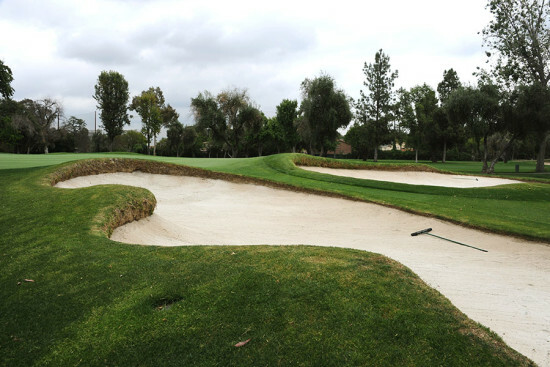 For the project, SPF:a studied Anaheim’s most famous agricultural product: the orange. The fruit was the basis of the puckered geometries and the perforated copper-anodized aluminum panel cladding that wraps them. The site’s gridded layout follows that of an orchard as well, with each building representing a tree. Judit M. Fekete-Pali, SPF:a president and CEO, said in a statement, “The design strategy helps break down the architectural masses—no more soulless, vast, and uninviting interior public spaces. Each program element operates independently and together.” The 500,000-square-foot campus is projected to cost $500 million and will be completed in 2021. 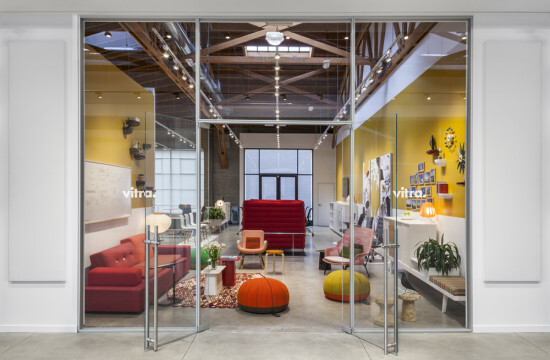 Slim profile window and door manufacturer Vitrocsa recently opened the doors to a new showroom and gallery space located within its Los Angeles–area factory and headquarters in Culver City, California. 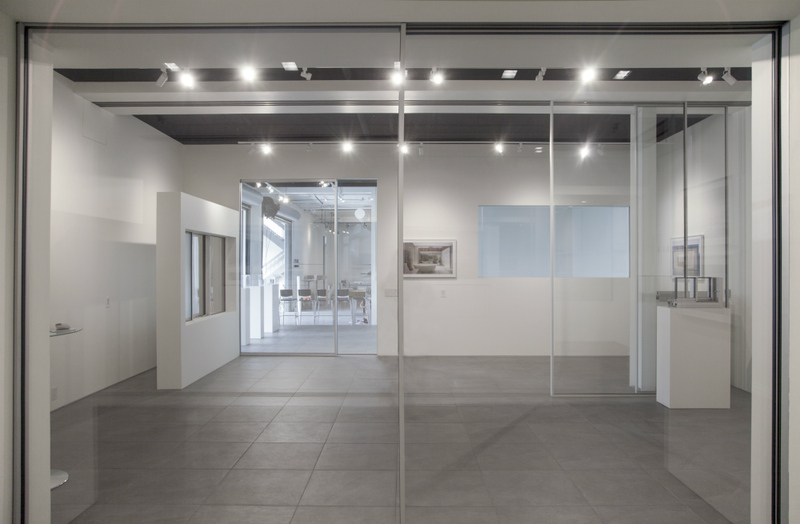 The new showroom features sliding doors, retractable windows, and pivot apertures that utilize the company’s Invisible Wall technology, deploying the Vitrocsa MODULAR and MODULAR+ model window and door system profiles for architects to view and test out in person. The product lines are built from aluminum alloy components in the factory located behind the showroom and offer a higher degree of energy efficiency than previous versions. The system’s horizontally-sliding components come with a 1 ¼-inch or1 ¾-inch thick insulated glass panel design, depending on size and required wind load. The showroom deploys several window options throughout, including a 12-foot-tall flush-mounted, floor-to-ceiling sliding door system with an "invisible sill" that conceals the door's track below the floor. The showroom also contains a mechanically-controlled vertical pocket sliding system, a new model that can be sized up to 200-square-foot panels. The profile systems are the latest available for the 25-year-old company, which was founded in Switzerland in 1992 and has pioneered thin-profile glass assemblies by merging “precision Swiss watch technology” with structural glazing. Vitrocsa windows are used by architects Tadao Ando, Sir Norman Foster, Richard Meier, Herzog & de Meuron, Thom Mayne, and Eduardo Souto de Moura, according to a press release. Vitrocsa custom builds each door and window it sells, so the showroom serves to not only display its latest wares, but also to highlight the firm’s precision-driven manufacturing process. James Tschortner, CEO of Vitrocsa USA, said via press release, “All moving components of this luxury product are manufactured by a Swiss watch component manufacturer with the precision of 1/100 of a millimeter.” The showroom is open to architects and potential clients by appointment. Visit the Vitrocsa website or contact Vitrocsa's Technical Sales Team for more information. 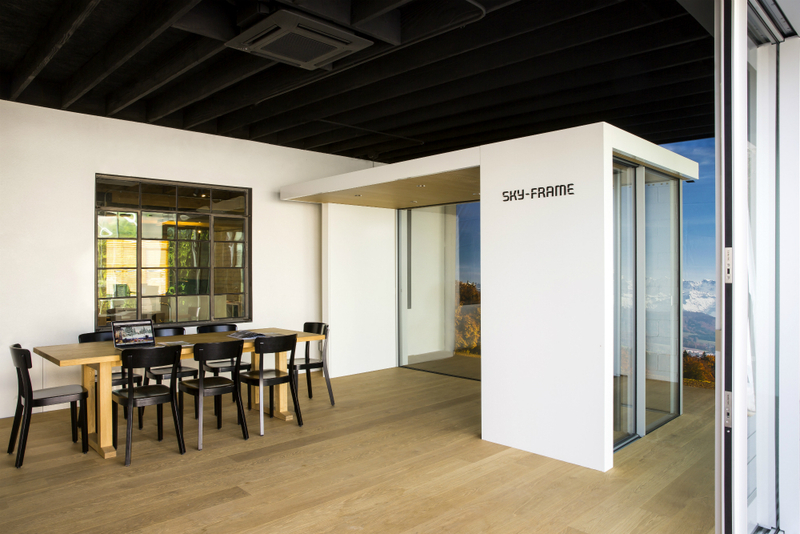 Switzerland-based frameless sliding door manufacturer Sky-Frame has opened a new Los Angeles showroom in Culver City’s Blackwelder Creative Quarter. The new storefront, located at 5912 Blackwelder Street, features several installations of the brand’s sliding glass doors as well as a variety of full-scale structural detail models showcasing the glass systems’ complex architectural detailing. In a press release announcing the new showroom, Nic Neumann, chief operating officer of Sky-Frame, Inc. said, “When capturing L.A.’s iconic views, whether the cityscape from the Hollywood Hills or the rolling vistas of the Pacific in Malibu, you don’t want hardware, door jambs or sightlines obstructing your views.” He added, “Sky-Frame doors are picture perfect for taking advantage of all that Los Angeles has to offer.” The Sky-Frame Los Angeles showroom features a wide selection of flush-mounted floor-to-ceiling sliding door systems, including the innovative Sky-Frame Arc series—which creates curved sections of sliding glass walls—as well as the Slope system, an inclined sliding window series. The latter door units cant up to 20-degrees in either direction along the x-axis of a wall. Neumann explained to The Architect’s Newspaper via telephone that the brand’s Swiss manufacturing facilities employ a variety of approaches to achieve sustainable manufacturing processes, including generating renewable energy on site. Their products are also designed to be compliant with California’s strict Title 24 energy efficiency standards. For more information, see the Sky-Frame website. Gensler’s Los Angeles office and IDS Real Estate Group are coming together to bring a new coworking office space to Culver City, California. The project, referred to as Culver City Creative, or C3 at Culver Pointe, is currently well into construction: the concrete slabs, beams, and columns of the first two floors are already in place. A third floor is framed and underway. Ultimately, the latest addition to the region’s thriving “Silicon Beach” area will rise seven stories up, encompassing a 280,000-square-foot “vertical creative office campus.” Each floor plate is due to contain between 38,000 to 45,000 square feet of leasable space. Architecturally reminiscent of the early 20th century manufacturing structures being converted to offices elsewhere in the city, this wholly new construction will feature subdued architectural massing, with the building’s structural concrete frame and expanses of glass walls figuring prominently. Renderings for the project depict operable double height glass walls in some areas. Two of the facades contain projecting, building-wide balconies. Alternating floor plates that rise along the height of the structure, pushing beyond the building envelope, create the aforementioned balconies. Along one exposure, these balconies are connected by brightly colored staircases. The building also extends a series of Pratt truss-framed skywalks connecting the office tower to an adjacent parking garage.You can watch construction as it happens via a live camera feature on the project website. Love for midcentury modern architecture is at a fever pitch. An era long known for its iconoclastic forms and ruthless experimentation might some day soon also become synonymous with something quite unexpected: thoughtful and gentle renovations. This modern marvel of engineering has withstood several major earthquakes, including the 6.7 Northridge Earthquake in 1994, with no damage whatsoever. 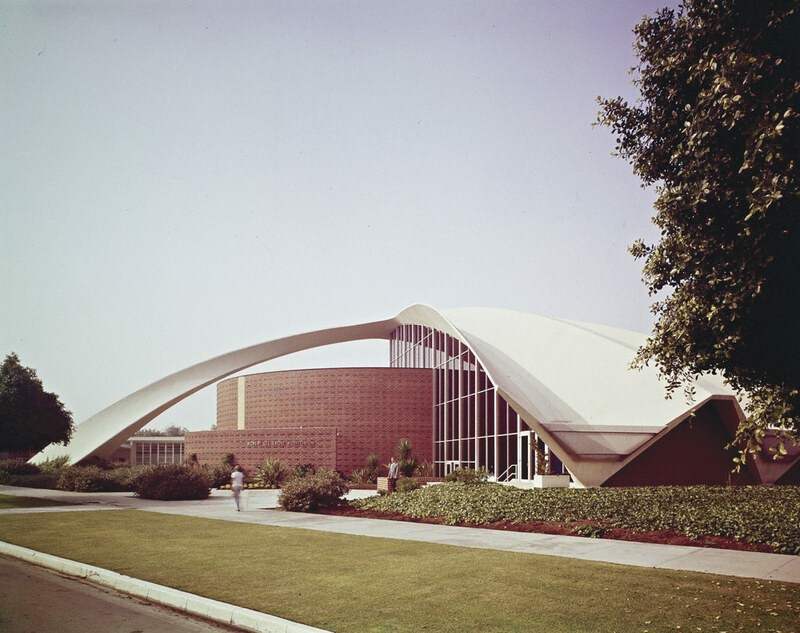 The 1,200-seat auditorium’s interior, however, was poorly designed from the onset, with inefficient and inadequate HVAC systems as well as generally inflexible seating and ceiling heights. Home to Culver City High School’s theatre troupe, the building is finally being remodeled to include a completely new HVAC system, a new black box stage, and a permanent-but-flexible catwalk. 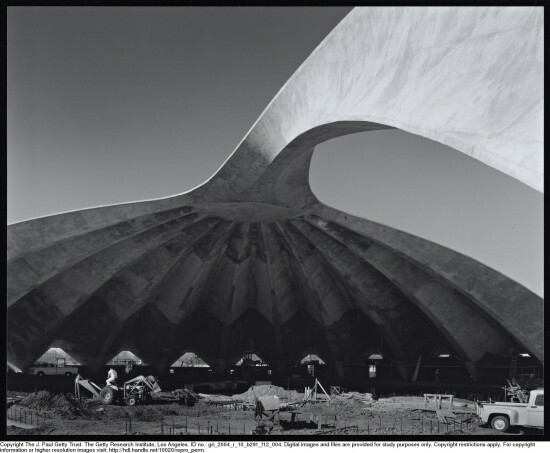 Because of the building’s impressive structural maneuvers, architects for the project had to make special overtures in their designs, erecting an Alexander Calder-inspired arch within the space to anchor the stage and catwalk without touching the existing structure or disturbing the post-tension rods located within the existing slab. “We used x-rays to determine exactly where on the floor plate the tension elements occur. The massive steel structure comes down daintily with a petito quality between those elements. “The interior was made into something that measured up to the exterior,” Hodgetts told AN, remarking on the technically complicated scheme. AN has been covering Hodgetts + Fung's efforts to update Los Angeles' Norms Diner for the 21st century, but another of the firm's projects will rigorously update a less known—and perhaps more impressive—modernist structure nearby: Culver City High School's Frost Memorial Auditorium in Culver City. Originally designed by local architects Flewelling & Moody, the building has one of the most ambitious structural concrete domes in the city. Each rib was cast in place on a sculpted mound of earth, lifted into position, then joined to other ribs via another concrete pour. 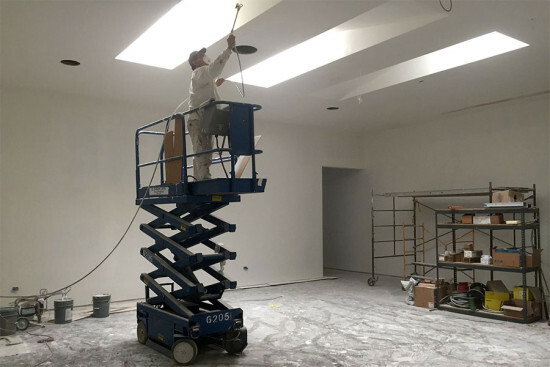 Hodgetts & Fung is expanding the building's cramped back-of-house spaces, installing new air conditioning, lighting, and electrical systems, providing handicap access, and adding a new steel-plated proscenium arch to better facilitate theatrical programs. They're also installing a new black box theater in back of the space. “It was never designed to be a production theater, it was designed to be an auditorium," said Craig Hodgetts. "While it was a great building, the shell inhibited them from doing the things that would have made it more useful... It had really good bones, but from a functional standpoint it was really lame," Hodgetts added. The new project will be complete by early next year. 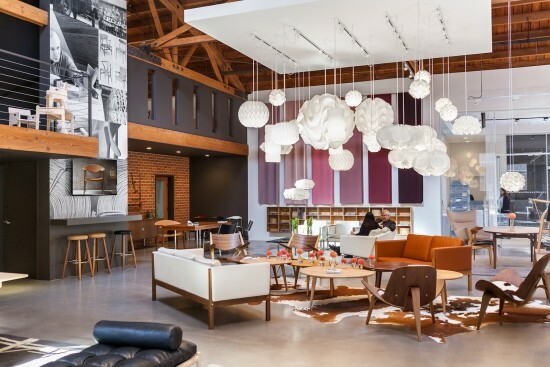 Last week Vitra and Carl Hansen & Son joined up to celebrate the opening of their new and expanded Culver City showrooms at 8745 and 8753 Washington Boulevard. Vitra's gallery, encompassing two floors enlarged to 3,550 square feet by Tiziano Barachino and Oakes Architects, is based on the firm's concept of "Citizen Office," in which free-flowing workspaces and information are available everywhere. The space contains several workstations as well as formal and informal meeting spaces and lounges. Carl Hansen & Son's 2,800 square foot showroom, located inside the Helms Bakery, houses the company's Danish classics inside a unified space. Surfaces include stainless steel and natural wood walls, and exposed bow-truss beams, and large storefront windows. Furniture includes work by Hans J. Wegner, Kaare Klint, Ole Wanscher, and Tadao Ando.